The censer is modelled and pierced to the base, detachable middle section and cover with panels of archaistic dragons on a keyfret ground. The base is decorated with a band of classical scroll encircling a gilt band. The interior and base are glazed turquoise. 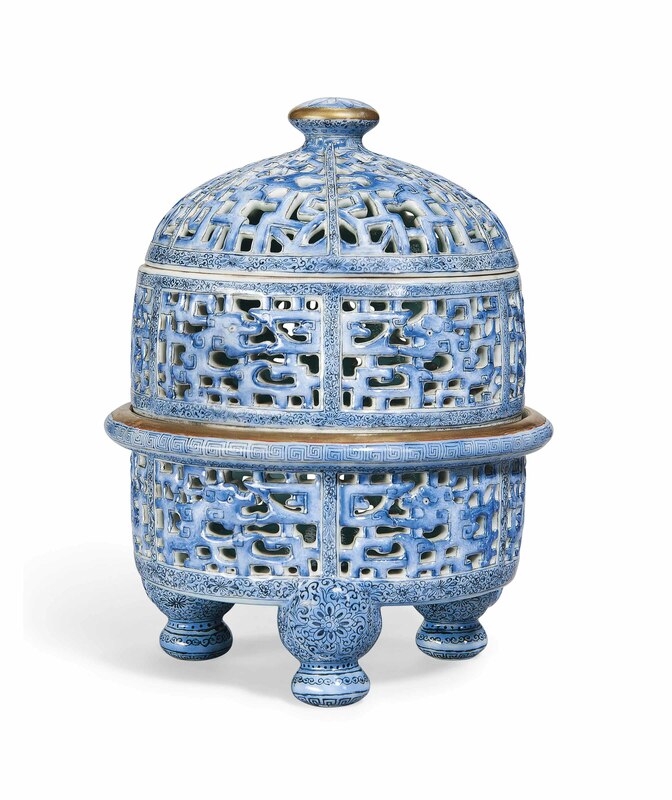 The base has an apocryphal Qianlong blue enamel mark reading "Qianlong yuzhi".